Planning a Paris group trip can be overwhelming to say the least, so a local trip planner may be exactly what you need to make your life easier and your trip complete. So, Why do I Need a Trip Planner? When planning a Paris group trip for students or adults, you need to think of everything – housing, tours, attractions, meals, transportation and everything in between. This is an overwhelming task, especially when trying to plan activities in a new city – and potentially with a language barrier. So here are just a few reasons to consider booking your Paris group trip using a local trip planner. 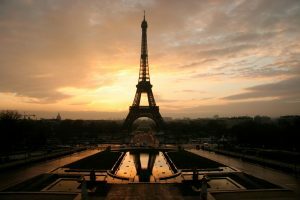 You probably already know, but planning a Paris group trip is no quick and easy feat, it can be extremely time consuming. A trip organizer can take away this pressure planning every part of your trip based on your own wants and needs – a tailor made package – or you can choose from a selection of pre-designed packages that suit your group, saving you incredible amounts of time! 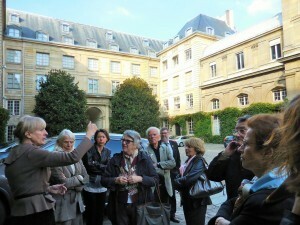 As you just heard, trip planners in Paris can make you a package specifically designed to suit the needs of your group. Traveling with a lot of people means everyone wants a say in what to do, and as with anything, people’s opinions are contradicting one another constantly, so it can be very difficult to know how to plan a trip where everyone is happy. That’s where a trip planner is great! 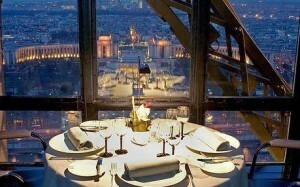 They can tailor make your trip package to make sure everyone enjoys their time in Paris. 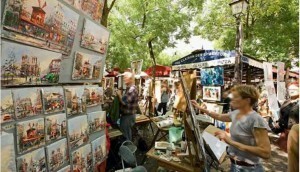 This one’s a big one; local trip planners know Paris better than anyone – they’re local! They have knowledge and understanding of the area unlike anyone else. 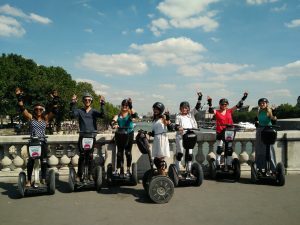 They can tell you the best place to get a view of the city, or the best time of day to go to the Louvre, or how to get from the Eiffel Tower to Notre Dame, because this is their city and they know all about it. You’ll likely know that when traveling, rarely does everything go to plan, and it’s hard to be prepared for all potential situations. The weather can change, people can get sick, a place can be unexpectedly closed. Lots can change at the drop of a hat and a trip planner can have you covered in a way that you may not be able to. They can create back up plans for you or new ideas of what to do if for example it does rain on a day you were supposed to climb the Eiffel Tower. It’s much nicer for you and your group to respond to a change in plans with a trip-planners help. It’s a local trip planner’s job to know the city, which means it’s their job to know how to get you the best deals for your trip. If you give your local trip planner a budget, they can work with it and decide with you the best ways to make the most of your money. It’s probably become clear to you that planning a Paris group trip can be very time consuming and very stressful. You have a lot to think about already, with packing, flights, dates, and all the rest, so why not let a trip planner ease some of this stress. Having someone else be in charge of your schedule, but basing it off your wants and needs, can stop you worrying about the logistics of the trip all the time and can help you really make the most of your time in the city. Now that you know the benefits, why not get started booking your Paris group trip. ParisByM can help you with every step, from accommodation to attractions to meals and more! Just click here for more information on our preplanned group tours as well as our tailor made options.